Passion's good. Gets blood pumping. Hannibal starts off as a prequel to the Tom Harris books, so you don't need to be familiar with them before jumping into the series. In fact, the first two seasons really don't touch on anything directly from the novels except for introducing a character or two that will eventually become important if/when the books are adapted. Even then, the series diverges significantly from what happens in the books and other films, so being unfamiliar with the source material might be for the best. In short, Hannibal is about FBI agent Will Graham being tasked by his superior Jack Crawford to use his detective skills to hunt down serial killers and murderers and bring them to justice. Will has a gift to empathize with people to an unnatural degree, oftentimes stepping into the shoes of a killer and reenacting the murders in his mind. With Will is Jack, Alana Bloom, his friend/co-worker/love interest... and Hannibal Lecter, a local psychologist who assists the FBI upon request of Alana. The only problem is that Hannibal Lecter is secretly already a well known serial killer called the Chesapeake Ripper, a serial killer that Will is trying to hunt down for most of the first season. So what you get for the first season is a show that takes its cues from shows like NCIS or any of the Law & Order shows. It acts like a murder of the week show where Will and friends try to capture a killer and bring them to justice. It may seem like a premise that's been done to death (and believe me it has), but what makes Hannibal stand out are the killers involved. Every killer has a unique gimmick to them that elevates them from being normal killers to Kefka Palazzo levels of crazy. Would you like to see a woman kill her victims and turn them into human beehives? How's about a man who takes a person's organs and makes them into strings for violins? And then there's my personal favorite; a man who kills people rips the skin off of their backs to make angel wings, then kills himself so he can have a flock of guardians angels looking over him as he dies. The killers are pretty damn crazy here. So while those are the episode a day plots, the overarching plot is a lot more sinister. Hannibal and Will Graham slowly become close friends and confidants, but Hannibal has a lot more sinister plans in store for Will. Hannibal begins to manipulate Will's mind and make him think he's going crazy, but we never really learn why until the very end of the season. Through it all, we don't really get a sense that Hannibal is doing this out of a sense of malice, but because Will is someone he can relate to. One of the best aspects of the show is just trying to understand the relationship between Hannibal and Will. We see them as friends and sharing meals that Hannibal prepares, then we see them act as enemies when Hannibal delves further into his murderous tendencies. But the strangest part about the series is that even when Hannibal and Will are at each other's throats, they're not just friends... they could even be lovers. Yeah, that may sound like a crazy premise to say, but I can't lie when I say that there's legitimate sexual tension between the two of them. Fans have taken to call them "The Murder Husbands" by the end of the series for just how much Hannibal manipulates Will and turns him into a person that's neither good nor evil. Will loses his humanity and his identity and never fully recovers by the end of the show. Hell, there are even points where he embraces how much of a monster he becomes. And while he hates Hannibal for everything that he's done to him, Will's also a bit thankful for what Lecter has done. Hannibal freed Will and made him able to express himself. While the focus of the show may be on Will and Hannibal, that isn't to say that the supporting cast gets no love. In fact, the supporting cast is Hannibal's secret weapon. While Mads Mikkelsen and Hugh Dancy are great as Hannibal and Will respectively, special mention should also go to Laurence Fishburne as Jack Crawford, Raul Esparza as Dr. Frederick Chilton, Eddie Izzard as Able Gideon, and Michael Pitt as Mason Verger. All of these men give fantastic performances and add just enough to the show to really spice up an episode. Hell, I still content that Michael Pitt, who only appears in a few episodes in Season 2, is the best Joker that we never got. So you might be noticing a distinct lack of women in the show, and you wouldn't be wrong. Out of the three seasons, there are only a few women that consistently appear, and even then, only about two or three of them actually matter at the end of the day. The rest of them pop up for an episode or two, act as vessels for the writers to test Will and Hannibal, then they go off on their merry ways. The show isn't about women, which is fine. As much of a feminist I am, I fully acknowledge not every story needs to feature women in prominent leading roles. The women in Hannibal still matter, but the show is about Will and Hannibal. Every other character, men included, are just tools to be used by the writers to give us poetic and well-written dialogue. Granted, that dialogue can be a bit empty, which is a general flaw I will give the show. Hannibal isn't really a show that's easy to understand. Each line feels like it has the weight of a cement mixer behind it, so it's easy for some scenes to become emotionally dead. Yes, Alana is meant to try and help out Will and keep him from going down a dark path and Caroline Dhavernas plays her amazingly, but the script doesn't lend itself well to portraying feelings. Oh sure, some scenes pack a gut punch worth of emotions and can leave you devastated, but it has more to do with the impact of the script and not so much the actual actors delivering the lines. I haven't even gotten into the beautiful production design and cinematography of each episode. Needless to say, Hannibal is jaw-droppingly gorgeous. Every episode will have at least one sequence that you'll be shocked was made on a TV budget. 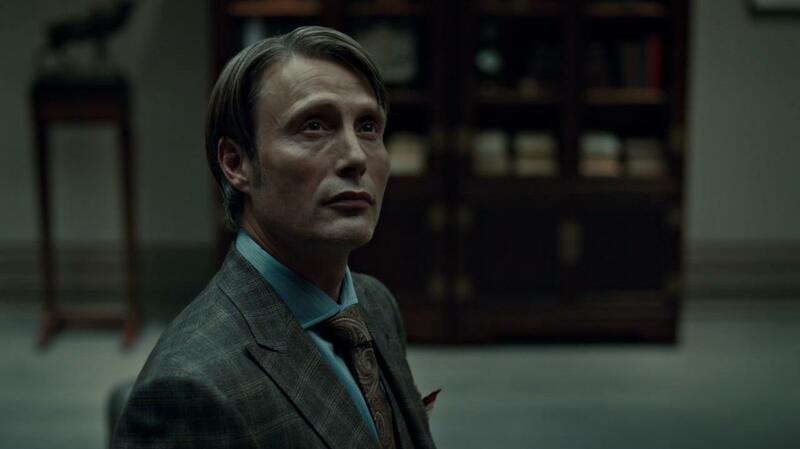 Hannibal just makes murder looks so beautiful so effortlessly. I have tried to scour the internet to find a video of an absolutely mesmerizing scene in Season 3 where a human body is folded into an origami heart, only to unfold itself and become a Silent Hill monster in a hallucination, but you'll have to take my word on how breathtaking it is to watch. You wanna know what else is breathtaking about the show? The food. Yes, never forget that Hannibal Lecter is an accomplished chef and the show will take every opportunity to show you how beautiful the food is that Hannibal prepares. The food is so marvelous that the production team actually released a Hannibal cookbook, and yes, I bought it. I personally recommend the breakfast scrambled eggs, the clay covered pork, and the eggplant aubergine. Of course, during the show, you have to wonder just what Hannibal makes. This is Hannibal the Cannibal after all. The show will never outright state if what he made was made with human meat, so that's all for you to decide. Yes, the food is delectable to the point where you want to eat it, but what if it's human? Would you still eat it? So we've talked about the killers, the actors, the production design, the food, and the rich subtext between Will and Hannibal, but what about each season? It's great if aspects of a show work, but they all need to come together in a cohesive way. There have been plenty of shows where parts of it work only for the whole to be okay at best. Just look at Dexter and how each season varied wildly in terms of quality. Well, all three seasons of Hannibal are different and strange beasts, each with their own strengths and weaknesses. While Season 1 is probably the most accessible of the three, and I use that in the loosest way possible, it still has a strange and surreal edge to it. It's a horror series in the guise of a police procedural and stays that way for most of the first season. Elements can get a bit tiresome by the end of the season, such as seeing Hannibal constantly manipulate Will and no one catches on for the entire season, but it's still solid entertainment with a surprising season finale. See, Hannibal constantly existed as a "bubble show" when it came to renewal. Because it was such a strange concept that never got the viewership of other primetime hits, it was always at risk of being canceled after each season. So Bryan Fuller and David Slade, the showrunners, structured the show in such a way that each season finale would also serve as a series finale if it got canceled. There would be loose threads, sure, but the ending would still be satisfying and left on a note where fans would demand more content, hopefully encouraging a network renewal. So the Season 1 finale was strong, the series got a second season, and fans were pleased. And with Season 2, we got the single best season of television I have ever encountered. Hannibal shed its guise of being a police drama and become a full-blown horror/thriller series. Now the overarching plot was front and center, the Will and Hannibal dynamic took some frightening and brilliant turns, and secrets, alliances, and murder became the order of the day. 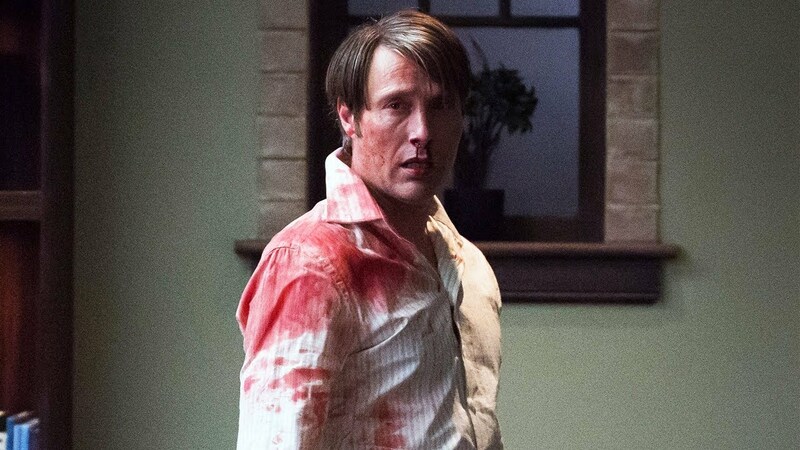 Season 2 was the reason why I fell in love with Hannibal, and it all came to an explosive finale with Mizumono, an episode that fans affectionately refer to it as "The Red Dinner" for much more insidious reasons. And fans were left with a cliffhanger that rocked our worlds and left me in stunned silence for minutes on end, unable to process what I just saw. So what happened then? How did a show that I was gushing praise left and right over get canceled? How did this modern masterpiece fall from grace? Was the third season, which I haven't talked about yet, cause the show to tank, or was it something else? Well since this post has gone on love enough and I need to clean my keyboard from my gushing praise, I'll save all of this for next time where we get into Season 3, the behind the scenes actions, and the future of Hannibal.